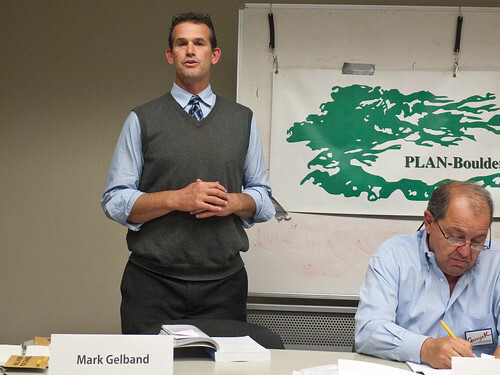 Mark Gelband, a 46-year-old father of a blended family, is running for a seat on the Boulder City Council. He feels strongly that the City Council needs a major overhaul. “I feel as though as though there’s been a small, vocal group of community activists who in my estimation control way too much of the political discussion in Boulder. We need a greater diversity of voices. Eight of nine of our current council are almost 60 or older. And out of my tax bracket. And I feel like we need a voice for young families, young professionals, and the more working class of Boulder,” said Gelband. Another of Gelband’s goals is to confront Boulder’s homeless problem. He thinks it is important to distinguish between the “working poor and transitionally homeless” who are from Boulder, and “the chronic vagrants” that come here from the region, who he feels have no intention of contributing to our community. He says that people with a local I.D. should get priority access to services (such as a night’s stay at the Boulder Shelter for the Homeless). He also feels that we need to enforce our already existing ordinances more strictly. As for Boulder’s housing issues, Gelband feels it’s time to step up. “We need to have a larger push towards a more flexible and inclusionary zoning that allows for a variety of housing types. And I think would help with some of the affordability issues in town.” He also wants to see more enforcement of rental conditions on the Hill and other student housing, where the laws (such as not allowing more than three unrelated people living together) are rarely enforced.